It has been a crazy fall and winter so far, with temperatures ranging from low teens to mid 70s. To help ease your chills, I have a check list of cold weather recommendations listed below. If these items are not part of your lifestyle wardrobe, now is when you should find them generously marked down. 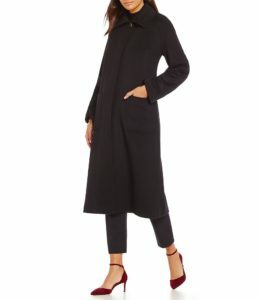 A single or double breasted long wool coat. Most wool coats are lined to prevent scratching and can be the perfect addition to layer over pants or dresses for warmth. Select the basic color of navy, brown, camel or black with a neckline that will withstand the test of time to ensure years of wear! 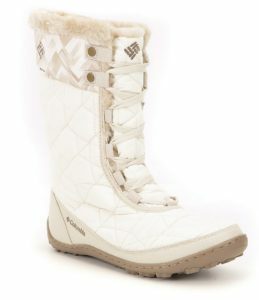 Lined faux fur waterproof boots that can be worn in any weather. Opt for a style boot that has a large enough toe-box to allow more than one layer of socks and a heel that will be comfortable for walking. Think comfort, fashionistas! For cooler weather, a midi skirt (to mid calf) when layered with tights, is a sure bet! For added comfort, wear your midi skirt with legwarmers layered on top of tights and a fitted turtleneck sweater. 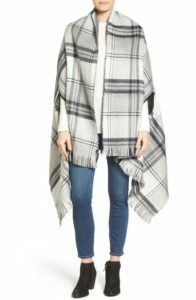 Cover up with a poncho. A scarf wrap is one of the most adaptable garments in your wardrobe. Wear one over a blouse, sweater, dress coat or leather jacket. Secure the scarf with a chunky neckwear or family heirloom brooch. Personally, I’d be inclined to choose a smaller print with a handful of colors, textures or metallic’s to use as a true wardrobe statement piece. On another note, some scarf wraps, depending on the weight of the fabric, make great head wraps. 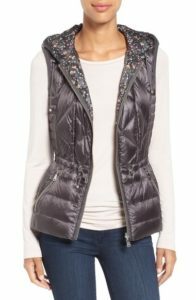 For additional warmth against the cold, I love the idea of adding a thin down vest or jacket to wear underneath a long wool coat. It’s another layer of protection against the cold without being bulky or binding. 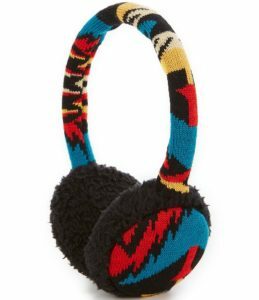 If you have a hat-hair phobia, earmuffs may be the perfect solution. Not traditionally as warm, but a muff will certainly do the trick if you have concerns of your hair not looking its best when you reach your destination. 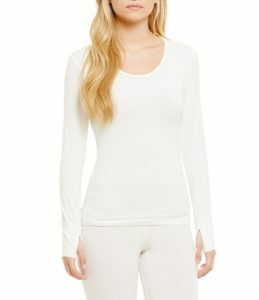 My last and favorite suggestion is the use of layering silk underwear and tops under your clothing. Silk not only breathes, but also provides a layer of warmth between your skin and garment. The extra layer goes a long way and never feels bulky. All the garments that I have suggested will arm you with a bit more warmth and make the next few months of cold more tolerable. Don’t forget to have a great pair of gloves and a warm scarf in your wardrobe. And, remember, this is the perfect time to invest in garments that you may not have in your fall/winter budget. Coats, leather garments, boots, handbags and bigger ticket garment items are marked down after the holidays in preparation for the first fashion hits of spring in late February. Happy New Year to you all and may your 2017 be everything and more than you hope for! Hi Olivia. Thanks for the comment and happy New Year to you!